In 1925, Ponce was was named Professor de perfeccionamiento de piano at the Conservatorio Nacional. 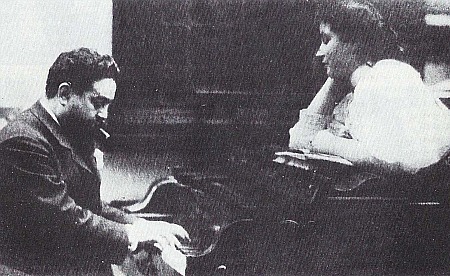 However, soon thereafter, at the age of 43, the composer once again vacated Mexico - this time for Paris, and enrolled in the composition class of Paul Dukas at the École Normale de Musique in a bid to learn the latest composition techniques. Significantly two of his fellow students were likewise to make important contributions to the 20th century guitar repertoire - the Spaniard Joaquin Rodrigo and Brazilian Heitor Villa-Lobos. 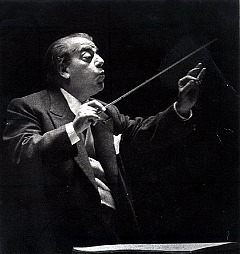 Villa-lobos went on to say about Ponce : “I remember that I asked him at that time if the composers of his country were as yet taking an interest in native music, as I had been doing since 1912, and he answered that he himself had been working in that direction. It gave me great joy to learn that in that distant part of my continent there was another artist who was arming himself with the resources of the folklore of his people in the struggle for the future musical independence of his country." During the eight years Ponce lived in Paris he rekindled his friendship with Segovia who also resided in that city. The two collaborated closely and it was in this period that the majority of Ponce's guitar compositions were created. Included in these were 5 sonatas, 2 suites, 2 sets of variations, 24 preludes, and numerous short pieces. Another project undertaken by Ponce during this period was the revision of Isaac Albeniz's opera Merlin, this at the request of that composer's daughter, Laura. The Mexican maestro returned to his homeland once again in 1933, whereupon he taught piano at the Conservatorio Nacional. 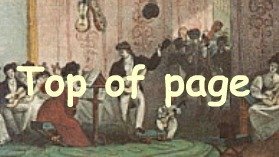 He also wrote for, and edited the conservatory's periodical Cultural Musical. Orchestral music became his compositional focus and his symphonic work, Chapultepec, was premiered in Philadelphia in 1934 with Leopold Stokowski conducting, a performance at New York's Carnegie Hall followed a few days later. In addition to these activities he also taught folklore, and worked as Professor of Rhythmic Gymnastics, playing piano at school festivals. As part of these activities he composed didactic piano pieces as well as numerous works for children's choir. Ponce spent his last years composing and teaching at Escuela Univesitaria de Musica, where in 1943 he was named Chair of folklore. His former pupil Carlos Chavez organized a festival comprised purely of Ponce's works in 1947. The festival saw the Mexican premiere of the Concierto del Sur, performed by Andrés Segovia. Ponce was awarded the prestigious “Premio National de Artes y Ciencias” (National Prize of Arts and Sciences) in the same year. After a rapid deterioration of health Manuel Ponce died of uremic poisoning at the age of 66. He is buried next to his wife in the "Roundhouse of the Illustrious Men in the Pantheon of Dolores" in Mexico City. The state of Aguascalientes, where Ponce grew up and frst studied music, honored the musician with a board of recognition at the base of the Column of The Exedra, next to the fountain from a spring dedicated to this musical poet.